Hopper capacity: 2.25 Qt/9C. Tray capacity: 1.25 Qt/5C. 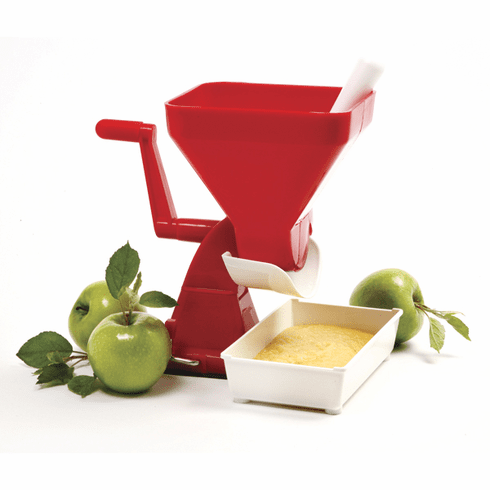 Press fresh tomatoes for the ultimate sauce, marinara, salsa, juice, puree, paste or soup. Ideal for applesauce. Attaches securely to counter or table with suction base. Stainless steel mesh strains and dispenses puree through chute into tray. Easy to clean. Tray, pestle, recipes and instructions included.